Working from a remote volcano lair, arch enemy Ernst Stavro Blofeld is capturing US and Soviet manned capsules in outer space. 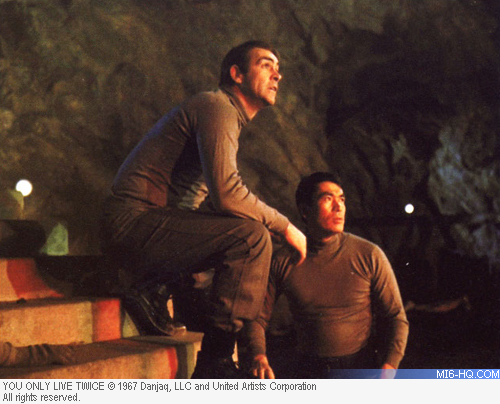 With the Americans and Soviets blaming each other for the incidents, Bond travels to Japan to lead a ninja army and destroy Blofeld before WWIII erupts. Hong Kong; Tokyo, Japan; Matsu, Japan; Cape Cod, USA; Hawaii, USA; Pentagon, USA; Russia; Outer Space. An American spacecraft is stolen whilst in orbit by another - mysterious - spacecraft. America is convinced that Russia has stolen the craft and threatens war. Meanwhile, the British claim that they know something the Americans don't: they have evidence that the spacecraft returned to earth near Japan and that their man is on the case. The next shot is of Bond, who is in bed with a Chinese woman. Ling walks across the room and presses a button. Suddenly the bed folds up into the wall and armed men burst in shooting at the vertical bed. The authorities arrive and pronounce 007 dead at the scene. 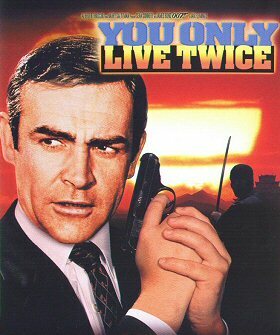 The title is taken from Ian Fleming's twelfth novel and the plot point of Bond being 'killed' so he can continue to work undercover, with his enemies assuming he is dead and out of the picture. The title is uttered by Blofeld when he realises Bond was not assassinated in Hong Kong after all. Tanaka: "Japanese men only have beautiful bare skin." Bond: "Japanese proverb say 'bird never make nest in bare tree...'"
When Bond enters the Sumo game the writing above the door reads, "Beauty Parlour" in Japanese. Ernst Stavro Blofeld's face is seen for the first time, revealing him as the archetypal alopecian villain.